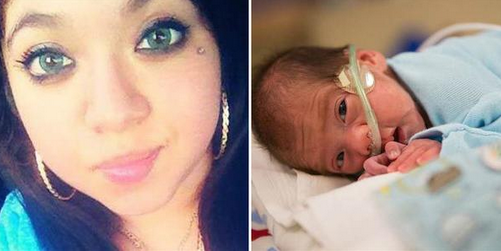 A Nebraska woman gave birth to a healthy baby boy 54 days after being declared brain dead. A pregnant Karla Perez (22) came down with a severe headache in the beginning of February this year. After a nap failed to ease the symptoms, she collapsed into unconsciousness. Doctors at Methodist Women’s Hospital Perinatal Center discovered she had an intracranial haemorrhage and there was nothing they could do to save her. At the time the foetus was too early in the pregnancy to be delivered so Karla’s family asked the doctors to save the baby by prolonging her life. According to The Washington Post, the last time a brain-dead woman gave birth in the US was in 1999. "We were attempting something that not many before us have been able to do,” said Sue Korth, vice president and COO of Methodist Women's Hospital in a statement after the successful procedure. 54 days and “a giant leap of faith” later, Baby Angel was born via C-Section. Her mother died 2 days later.